Climbing is an increasingly popular play activity that provides fun and builds strength. Big Backyard's polyethylene moulded Hand Grips provide safe support while your children climb, explore, and get the most out of your play structure. Enjoy years of use from this professional quality 3-Piece Telepole featuring an external cam constructed of anodized aluminum - no rust or corrosion! The telescoping pole for pools can be adjusted between 5 and 15 ft., and has an extra-thick hand grip and two external locking cams for easy operation. Playground Hand Grips (2-Pack) Climbing is an increasingly popular play activity that provides fun and builds strength. Big Backyard's polyethylene moulded Hand Grips provide safe support while your children climb, explore, and get the most out of your play structure. Playground Hand Grips (2-Pack) is rated 5.0 out of 5 by 1. 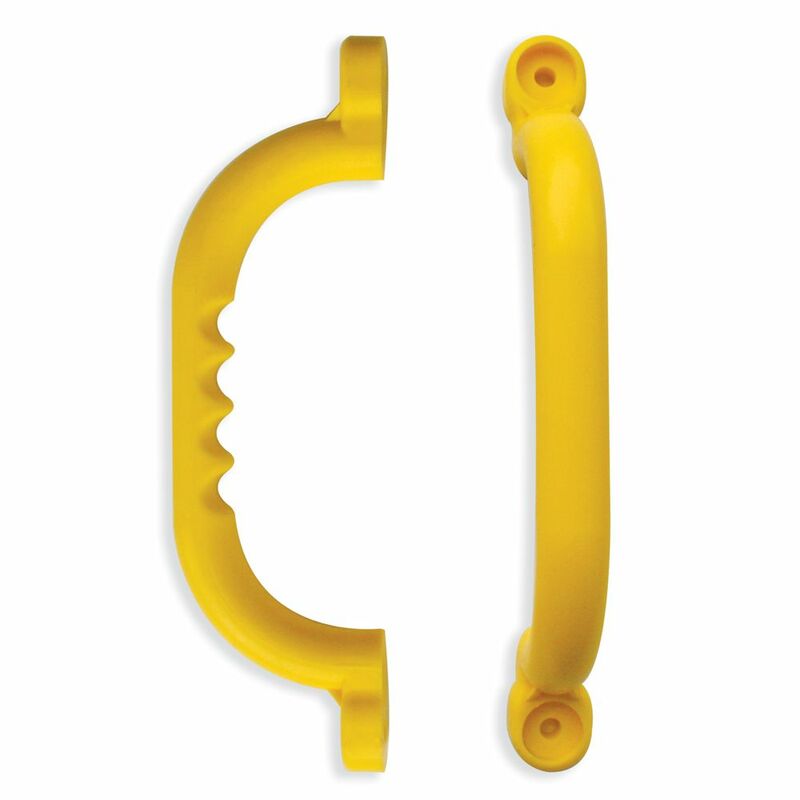 Rated 5 out of 5 by hickorynut from The handles are very sturdy and easy to install. The handles are very sturdy and easy to install.